AT&T agreed Sunday to buy DirecTV for about $48.5 billion in yet another mammoth deal in the pay-TV space this year that would immediately boost the telecom giant’s customer base at a time of confounding industry challenges. The merger, which both boards approved Sunday, is the latest evidence of TV-industry consolidation, one born of telecommunications companies’ desire to amass customers and control content and delivery. With streaming and wireless technology upending the industry, cable and satellite service providers are rushing to add product options while boosting revenue per customer to please shareholders. In the deal, AT&T would pay DirecTV shareholders $95 per share. Including DirecTV’s debt, the total transaction’s value is about $67.1 billion. DirecTV shareholders will get $28.50 per share in cash and $66.50 per share worth in AT&T stock. 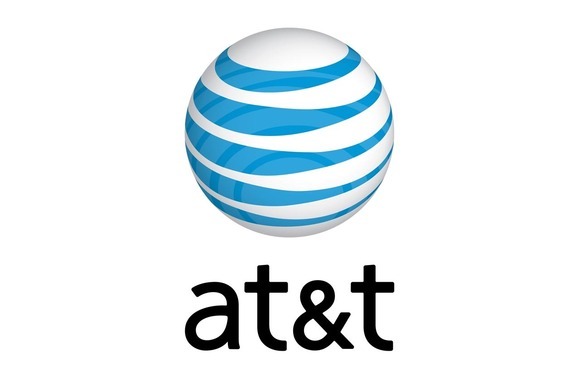 In the stock portion of the deal, they will receive 1.905 AT&T shares if AT&T stock price is below $34.90 at closing or 1.724 AT&T shares if its stock price is above $38.58. If AT&T’s stock price at closing is between $34.90 and $38.58, DirecTV shareholders will receive between 1.724 and 1.905 shares of AT&T stock, equal to $66.50 in value. 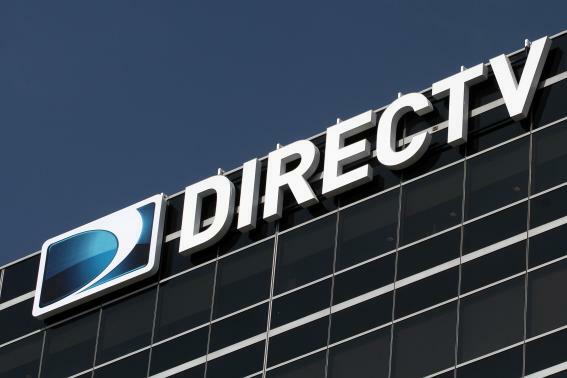 In anticipation of the deal — their talks were first leaked on April 30 — DirecTV shares have risen 12%. “This is a unique opportunity that will redefine the video entertainment industry and create a company able to offer new bundles and deliver content to consumers across multiple screens,” said Randall Stephenson, AT&T’s chairman and CEO, in a statement Sunday. AT&T offers pay-TV service through its U-Verse brand, but its market reach is limited. The acquisition broadens AT&T’s footprint nationally and creates a pay-TV giant that can offer video through both fiber-optics lines and satellites. It would also give AT&T more flexibility in bundling services by leveraging its wireless networks and satellite-delivered TV-Internet service. If approved by regulators, DirecTV will operate as an AT&T subsidiary and continue to be based in its current headquarters in El Segundo, Calif.
AT&T U-Verse’s TV service has about 5.7 million customers in 22 states. DirecTV, with about 20 million customers nationwide, is the second-largest pay-TV provider — behind Comcast — and the largest satellite TV company in the U.S. DirecTV also has 18 million customers in Latin America and offers AT&T an immediate access to that fast-growing market. Their negotiation follows a deal struck earlier this year by Comcast to buy Time Warner Cable for about $45 billion, a transaction that would merge the nation’s two largest cable companies. With consumer groups loudly opposing media industry consolidation, AT&T and DirecTV could face difficult regulatory roadblocks. Unlike Comcast’s deal, AT&T’s acquisition of DirecTV eliminates a competitor in AT&T U-Verse’s markets. The deal boosts AT&T’s customer total, but its desire to grow revenue per customer — a key industry metric — also may have pushed the company’s management to move quickly. By folding satellite-TV service into its broad telecom portfolio — wireless, phone and fiber-optic broadband and TV — AT&T will be in an ideal position to create varied bundled packages to sell more options at its 2,300 retail stores and thousands of dealers and agents. It can sell wireless contracts with land-line broadband Internet, and package them with TV programming and other ancillary services, such as home security. For customers in its non-U-Verse markets, it can offer its existing services along with satellite TV. Eventually, the company may also introduce Internet packages delivered on its fastest wireless networks if it can work out lower pricing levels and address issues surrounding monthly cap limits. Currently, AT&T customers who have U-verse triple-play service, which includes land-line phone, broadband Internet and cable TV, spend about $170 each month (not including wireless service). With its satellite TV revenue alone, DirecTV generated $102.18 per user in 2013, up 5.4% from 2012. On the content front, a combined company would also have more bargaining leverage in talks with content providers for retransmission and licensing fees. “You hope you can squeeze out some, if not lower rates, some slower-growing rates,” says SNL Kagan analyst Ian Olgeirson. Another possible result: a stronger TV-everywhere package — combining wireless, satellite and fiber-optic networks — could emerge from the merger, a plus for DirecTV. Its satellite TV competitor Dish Network sits on a sizable amount of wireless spectrum that could be used for broadcast. *Broadband expansion. AT&T’s broadband service will be expanded to 15 million residential and commercial buildings mostly in rural areas where it’s not currently present, it says. It’ll use a combination of technologies, including building out fiber optic lines directly to your house or using a direct radio link to deliver Internet in the “last mile,” between your home and the local exchange. This project is scheduled to be completed within four years after the merger close. *Speed guaranty. For three years after the deal closing, AT&T will guarantee broadband Internet speeds of at least 6 megabits per seconds, “where feasible,” for customers who only want an Internet service. *DirecTV continuance. For “at least three years” after closing, DirecTV’s TV service will be available on a stand-alone basis at current prices that are the same for all customers. *Net neutrality. The combined company would also abide by net neutrality rules established in 2010 — that ISPs can’t discriminate against various types of legal content — but tossed out earlier this year. The Federal Communications Commission is currently in the process of recasting the rules. Despite the promises, net neutrality proponents’ howls of protest will continue for months given that AT&T’s deal removes yet another competitor in the TV-Internet businesses. The increased concentration of power among the few who provide broadband Internet would give AT&T more leverage if — as the FCC has preliminarily proposed — ISPs are ultimately allowed to charge for “fast lanes” of the Internet for content providers that are willing to pay for them. Though the size of the deal is comparable to the $45 billion Comcast-Time Warner Cable deal, the competitive issues surrounding the two mergers are different. Comcast has a deal to buy another provider of pay-TV and Internet service in Time Warner Cable, but the transaction would not eliminate a competitor in their markets. “This is not Comcast-Time Warner Cable round two,” says Amanda Wait, an attorney at Hunton & Williams and a former antitrust attorney at the Federal Trade Commission.